In ancient times, everyone thought the Earth was the center of the Universe – it was obvious to anyone who just looked up. The Sun, Moon, stars and planets were thought to be attached to crystal spheres that turned around us. We now know that the Earth goes around the Sun, but how do we know this? In astronomy, putting the Sun at the center of the Solar System is known as heliocentrism, while putting the Earth at the center is called geocentrism. As astronomers put in more and more time studying the heavens, they realized that this model didn’t match reality. The Sun didn’t follow an exact path every day, and the planets didn’t move how they were supposed to. It wasn’t until the 16th century that the Polish astronomer Copernicus developed a model that placed the Sun at the center of the Solar System. Until that point, astronomers had developed very complicated models that tried to explain the motions of the planets. At times they appeared to move backwards in the sky, and then go forwards again. Astronomers had developed the thought that there were spheres within spheres that could explain these motions. 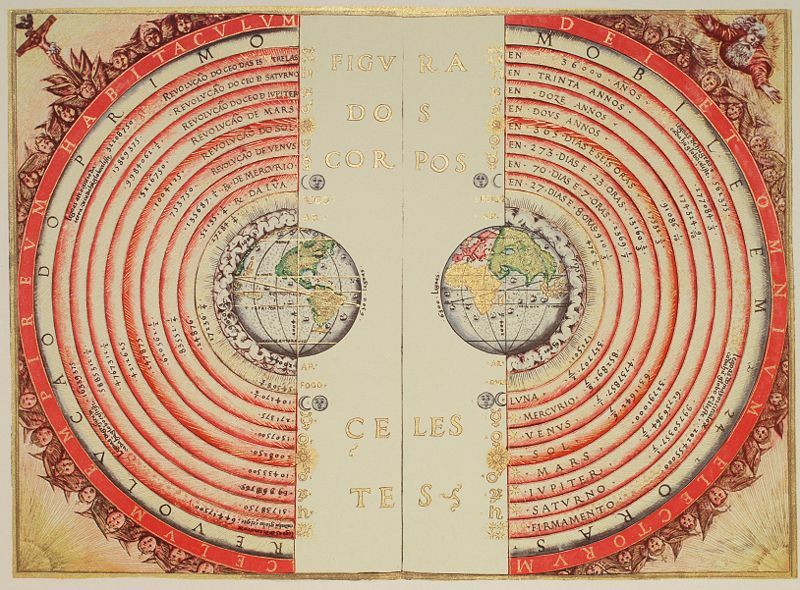 Copernicus simplified things, and showed that all the planets were orbiting the Sun, and the strange motions of the planets was then easy to understand as the Earth caught up and then passed them in orbit. In 1610, Galileo used his first rudimentary telescope to observe that Venus went in phases just like the Moon. This went against the theory that everything orbited the Earth, and was further evidence that it goes around the Sun. Galileo also observed how Jupiter has 4 major moons that orbit it. This broke the previous believe that all objects orbit the Earth. More precise measurements followed, and Johannes Kepler created his three laws that explained that the planets were actually following elliptical orbits around the Sun. He was the first astronomer to accurately predict a transit of Venus, where the planet was seen to pass directly in front of the Sun. The motion of the Earth as it goes around the Sun is well calculated today. Space agencies use these calculations to launch spacecraft to explore the other planets in the Solar System. If everything went around the Earth, we’d know by now.